“This is the most transformative product launch in the history of our business,” said David McLean, General Manager of Xbox, Microsoft Australia and New Zealand. Microsoft has already sold 1 million Xbox Kinect sensors worldwide in the 10 days since its US launch on November 4, on track to reach its forecast of 5 million units to be sold worldwide prior to Christmas. “Kinect has incredible appeal to people of all ages and will introduce Xbox to millions of Australians, especially those who have never before picked up a controller. Additionally, when we combine Kinect with our Xbox LIVE capabilities, games and movies are all available on demand†, at the wave of a hand,” said Mr McLean. “There’s no question Kinect will be one of the most sought after gifts this year – retailers are even re-configuring their stores for Kinect and investing to ensure they can meet demand. 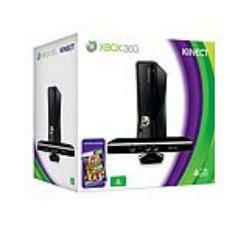 Kinect is flagged as one of their big-sellers these holidays,” added Mr McLean. Kinect also has the seal of approval from international footballer, father of three and the Commonwealth Government’s Healthy Living Ambassador, Harry Kewell – an Xbox enthusiast who hopes Kinect will encourage kids to become more active via technology. “I’m a massive supporter of getting kids off the couch,” said Mr Kewell. “Kids love computer games and to see what Xbox has done is fantastic. This gives the opportunity for kids and parents to get involved by being active, jumping around and having a great time. This will transform the way families get together on a Sunday afternoon,” concluded Mr Kewell. Fitness expert, best-selling author and The Biggest Loser television personality Michelle Bridges is also enthusiastic about her role in Kinect, appearing as an “avatar” in the game Your Shape: Fitness Evolved. “I’m so excited that I’ve had this opportunity to be involved in such forward-thinking technology, that we can now take training and make it virtual. I now become your personal virtual trainer within the game,” said Ms Bridges. “This is so revolutionary and a massive step in making fitness fun and also accessible. With workouts personalised for your body, your fitness level, and your goals, you can now get fit and healthy within the convenience of your own home,” concluded Ms Bridges. With 19 Xbox Kinect games available by Christmas, including Kinect Adventures, Kinect Sports, Dance Central, Your Shape: Fitness Evolved, Harry Potter and the Deathly Hallows, and Kinectimals,* Mr McLean predicts living rooms across Australia will soon be transformed into fitness rooms, dance clubs and sports stadiums. “Given our complete product offering, including Kinect, Xbox LIVE, Foxtel on Xbox 360 and a great line up of blockbuster games, we are thrilled that Xbox can now become the ultimate entertainment experience in the home, bringing families together this Christmas,” concluded Mr McLean. With more than 1.2 million Xbox 360 consoles currently in households across Australia, console owners1 can purchase the Kinect sensor for A$199.00 (RRP)** packaged with the Kinect Adventures game.